There’s a special place in my heart for toys which are not only fun, but beautiful. With a nod to all things Nordic designed, Bloomingville is filling toy boxes all around the world with the most gorgeous of wooden play sets, perfect for imaginative play. A definite highlight of the Bloomingville Mini collection, the Wooden Tool Set ($79.95, pictured above) is sure to fulfill the needs of any tiny tradie. A nine piece set complete with clamp and saw, there’s no job too big for this kit! For the littlies who love to nurse and nurture everyone and everything, the Wooden Doctors Play Set ($79.95) could definitely be just what the doctor ordered – best be prepared for lots of fussing over – and tricky reflex testing. 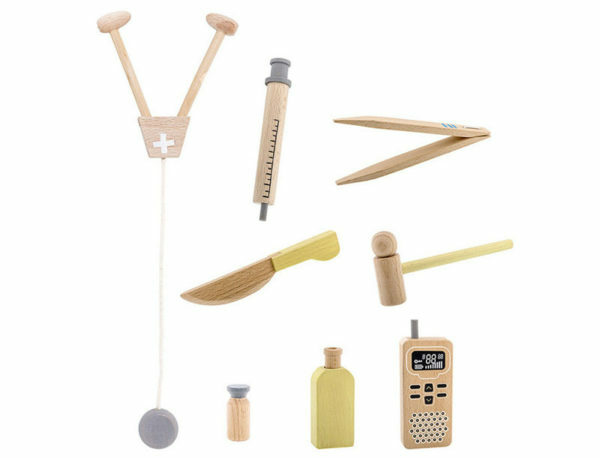 My favourite, naturally, is the Kitchen Cookware Play Set ($39.95). 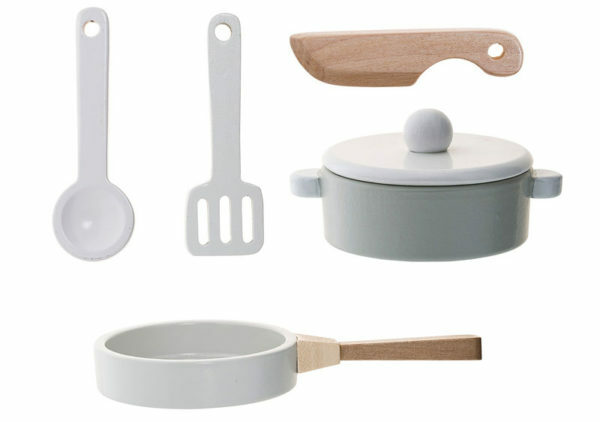 Perfect for adding a serene Scandinavian look to your play kitchen, there’s many a good meal to prep and cook with this sweet five piece set. You’ll find all three of these fun Bloomingville Mini play sets available locally, at Pip and Sox.